Albumen photo with detail and real photo postcard from my collection of the ECLIPSE. 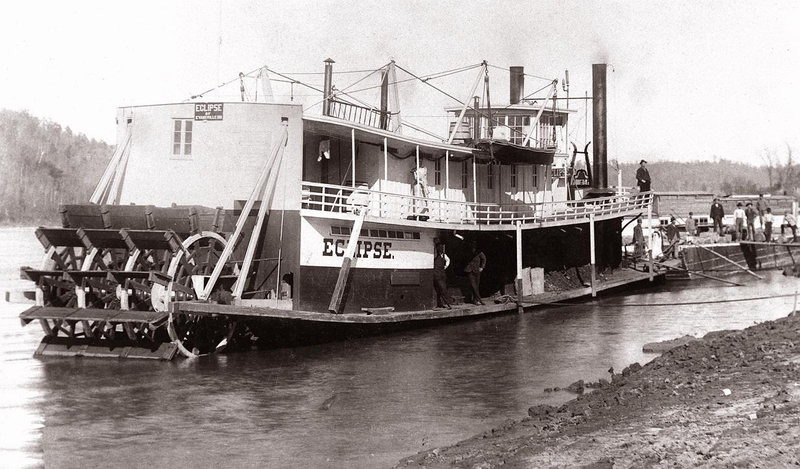 Built at LeClaire, Iowa in 1882, the ECLIPSE towed rafts until the mills shut down in 1904. 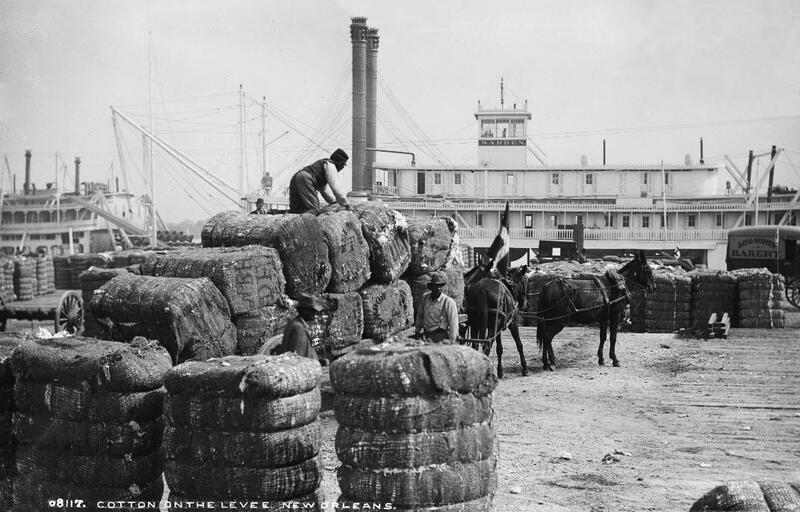 Then Captain John Lancaster, LeClaire, who held interest in the boat and had commanded her as a rafter, bought Captain John Streckfus's warehouses at Davenport, Iowa and Clinton, Illinois and entered the Eclipse in the trade. This venture was not a success because a street car line had been opened. This was the last effort to run a packet between those cities. She later ran in the Dubuque, Iowa-Prairie du Chien, Wisconsin trade. In 1913 she was laid up and sank in Cat Tail Slough, south of Albany, Illinois. Captain Ralph Emerson Gaches then bought her to tow his showboat. He was making a trip with her from Pittsburgh to Sistersville, West Virginia with an Atlantic Refining Company gasoline barge the night of December 8, 1917. 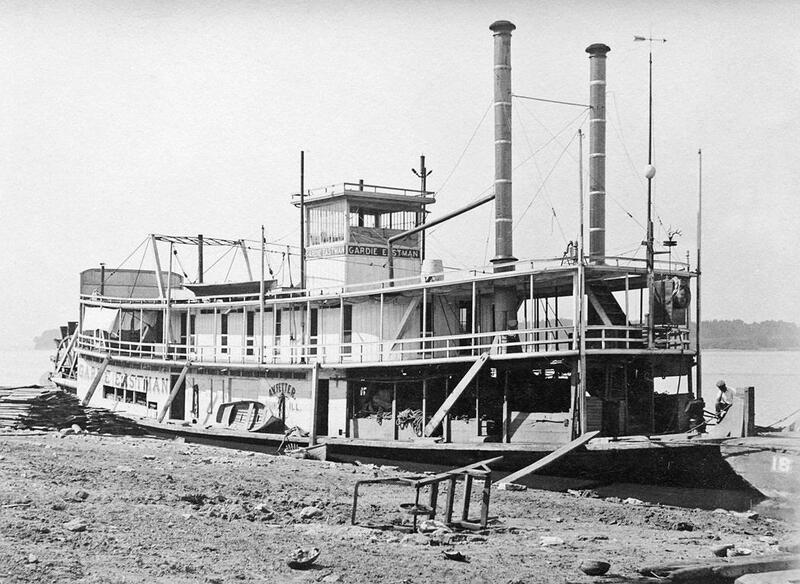 She struck the dike at the foot of Neville Island, Ohio River, burned and sank. 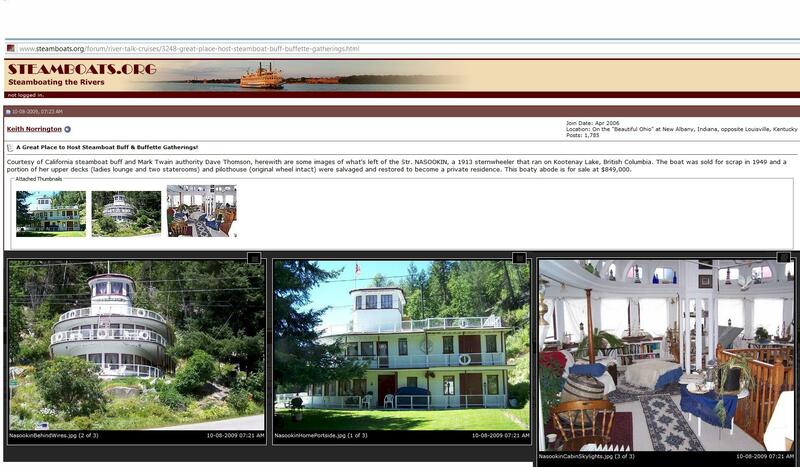 During her days she towed showboats, Goldenrod, Cotton Blossom and Emerson's Floating Palace. She was enrolled at the Port of Burlington, April 29, 1884; Port of Dubuque, May 8, 1888; Rock Island, Illinois, 1894, 1900 and 1902. Then Captain John Lancaster, LeClaire, who held interest in the boat and had commanded her as a rafter, bought Captain John Streckfus's warehouses at Davenport, Iowa and Clinton, Illinois and entered the ECLIPSE in the trade. This venture was not a success because a street car line had been opened. This was the last effort to run a packet between those cities. She later ran in the Dubuque, Iowa-Prairie du Chien, Wisconsin trade. In 1913 she was laid up and sank in Cat Tail Slough, south of Albany, Illinois. Captain Ralph Emerson Gaches then bought her to tow his showboat. He was making a trip with her from Pittsburgh to Sistersville, West Virginia with an Atlantic Refining Company gasoline barge the night of December 8, 1917. On December 8, 1917 she struck the dike at the foot of Neville Island, Ohio River, burned and sank. An excellent quality vintage snapshot that scanned up very nicely and with contrast adjustment resolved as a sharp image. A.V. Fetter of Quincy, Illinois is mentioned several times in the following history of the GARDIE EASTMAN. She was used by Fetter and Crosby, contractors, for river improvement work. Captain Fetter rebuilt her at the Kahlke yard and after his death in July, 1920, the boat was sold to the McWilliams Dredging Company. They sent her to Shreveport, Louisiana on the Red River and she arrived there on April 21, 1922 with Captain L.C. Migaud as pilot. She was rebuilt at Madison, Indiana in 1926 and renamed McWILLIAMS. 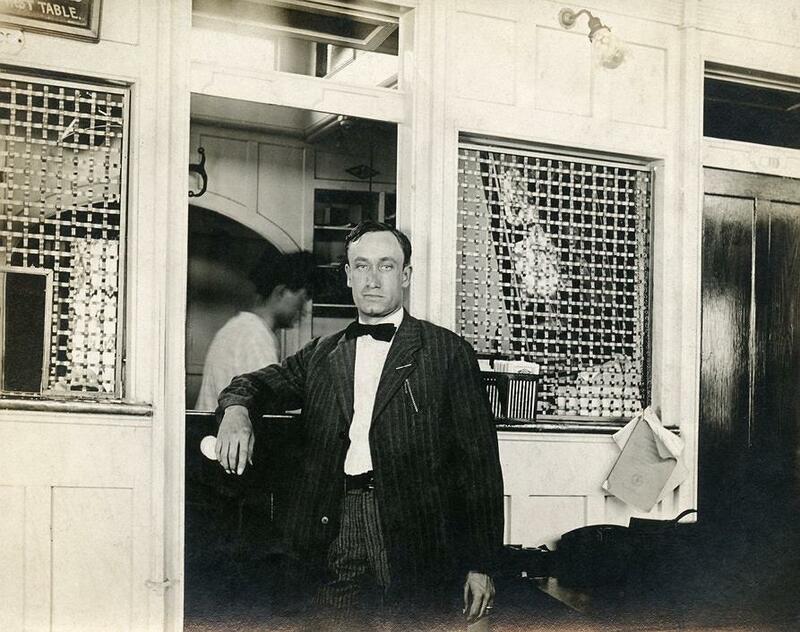 This photo of an interesting character leaning on the counter of a clerk's office in the cabin of a steamboat. The boat is not identified but the picture came from a group of Upper Mississippi River snapshots and could have been taken aboard the QUINCY or a similar boat that ran between St. Louis, MO and Keokuk, Iowa. Nice detail and a range of tonal values in this photo that conveys a genuine flavor of the old packets. 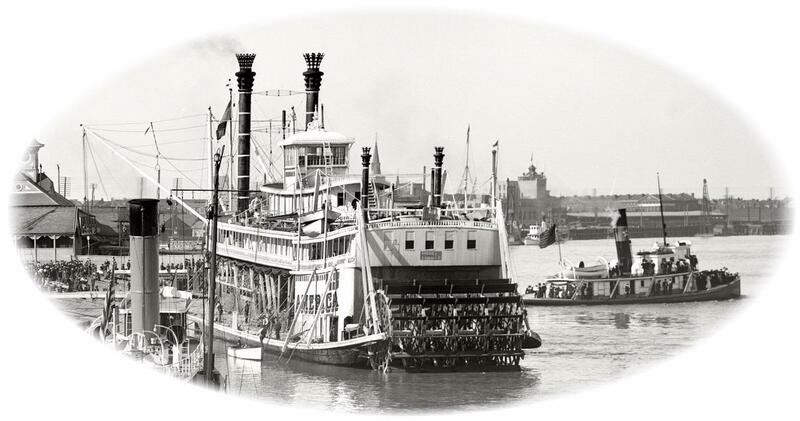 Two of my favorite steamboat photos of the CITY OF SAVANNAH which had sharp, clear, uncluttered lines and was maintained immaculately.From the LaCrosse collection. Built at Jeffersonville, Indiana, Howard Ship Yards, 1889; homeport or owner's residence St. Louis Missouri; original price $13,000. 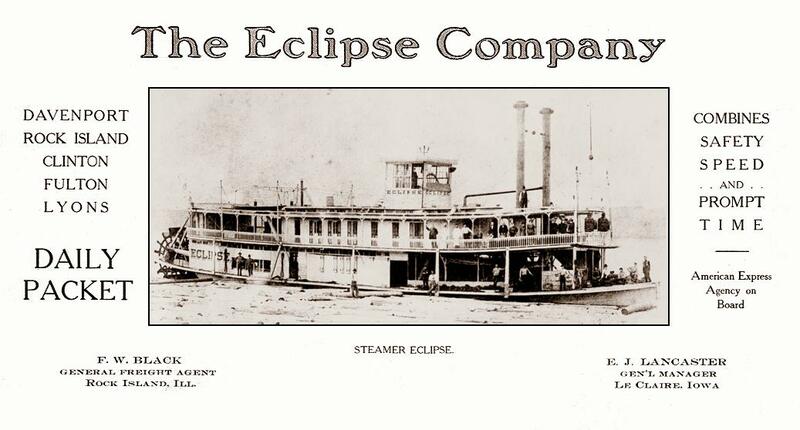 The St. Louis & Tennessee River Packet Company chartered her to the Lee Line to run out of Memphis in September 1895. 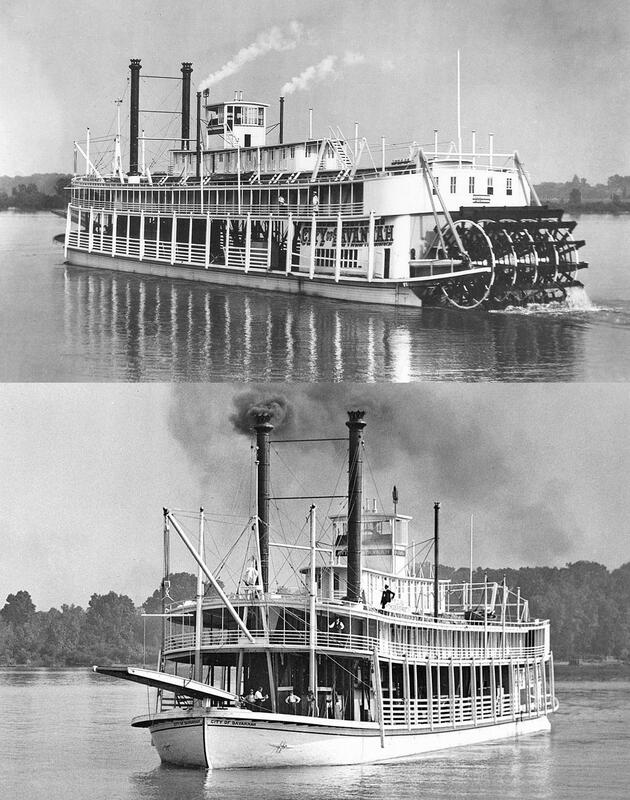 She was acquired by Captains A. E. and L. P. Cummins to run Memphis-Vicksburg. She sank at Shiloh Landing, 60 miles above Vicksburg on September 18, 1897, and was raised. Detail inside an oval vignette from the upper right quadrant of a 1906 Detroit Publishing photograph taken at New Orleans with a nice stern angle of Captain Cooley's AMERICA. Malcolm Metcalfe's earliest childhood memory is of being in the pilothouse of the SS Nasookin during the grand old ship's final days. 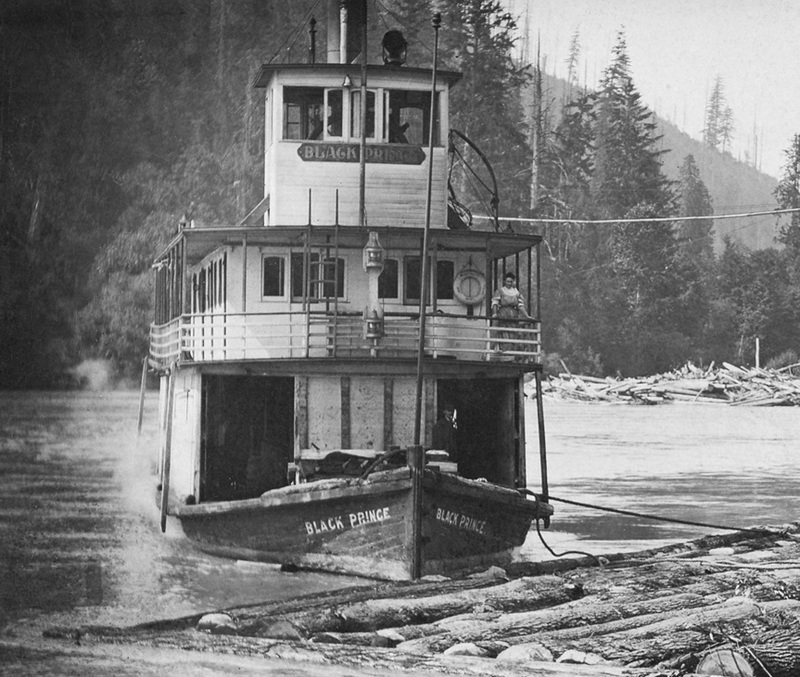 Once the largest sternwheeler on Kootenay Lake, it was by then a car ferry plying between Gray Creek and Fraser's Landing three times a day. Metcalfe's namesake grandfather, Malcolm MacKinnon, was its captain. Metcalfe recalls sitting on a shelf behind the ship's wheel. "I remember my grandfather trying to get me to put my hand on this cord that came down from the ceiling and had a big tassel," he says. "I wouldn't touch it. So he pulled it, and of course it was the whistle. I screamed bloody murder." That whistle blast is forever emblazoned in his memory - the only thing he can remember from that far back, much less with crystal clarity. "My mother tells me I was two years old at the time. I told her that story, not the other way around. That's by far the earliest memory I have as a kid." Metcalfe has a photo of himself with his grandfather, taken on that voyage, looking out the ship's front window. He also has another memorable souvenir: the Nasookin's original wooden wheel. His grandfather received it when the ship was refitted as a ferry in 1933. The modifications included removing an entire cabin deck, lowering the wheelhouse, and substituting a smaller steering wheel to fit the new dimensions. The old wheel, which is 8.5 feet (2.6 metres) in diameter and weighs something like 150 lbs. (68 kilograms), sat in an attic at Capt. MacKinnon's Procter farmhouse. He gave it to his daughter and son-in-law in the early '60s, who cleaned and varnished it, and in turn gave it to Metcalfe a little over 20 years ago. In all, it's been in the family's hands for nearly 80 years. "We had houses in West Vancouver with high ceilings so the wheel stood proudly in our house," Metcalfe says. However, when they moved to their current place, its much lower ceiling couldn't accommodate the wheel. Metcalfe and wife Linda had to decide what to do with it. They could give it to one of their children, but neither had met Capt. MacKinnon, who died nearly 30 years before they were born, nor had they spent much time in the Kootenays. "So we thought that wasn't really appropriate. If I gave it to any of the rest of our family, same problem. Most of my cousins have moved all over." Metcalfe started looking for a long-term home for the wheel where it would be well cared for and people could see it. Over several months "we sniffed around and found two or three options, but none really made sense." Then by chance, they met one of their son's friends, who grew up in Gray Creek - the Nasookin's former terminus. "Next thing I know I got a phone call from her mother, who was an active part of the Gray Creek Historical Society. Then Tom Lymbery called me. 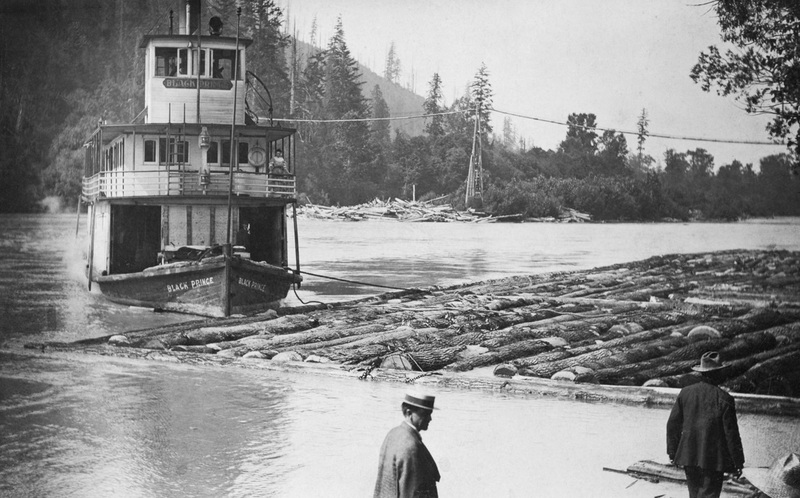 He knew my grandfather and sent pictures that showed him in Gray Creek with the boat." Metcalfe explained his requirements for the wheel, and the society agreed to abide by them. "I was absolutely thrilled to give it to them," he says. The handover took place last month, and the wheel will be unveiled tomorrow at 2:30 p.m. in its new home at the Gray Creek store, where it will hang from the ceiling. Lymbery's father Arthur founded the store in 1913 - the same year the Nasookin launched, with MacKinnon at the helm. The store also took phone messages for the boat. According to Tom Lymbery, MacKinnon would wait a few minutes if someone phoned to say they would be late for the last sailing - unless the call came from Kuskanook, where there was a beer parlour. The Lymberys have other pieces of the Nasookin, including the freight door and a small cabin door.The wheel was made of "very good quality wood," Metcalfe says. "I believe it's solid oak. It's very hard and very strong. I assume it was all hand-cut and put together piece by piece. It's a remarkable piece of work. "Metcalfe, 67, was close to his grandfather, for shortly after he was born, his father went overseas with the air force. Metcalfe lived with his grandfather and mother on the farm at Procter for about a year and a half, and he "was the only man in my life," until his father returned from war. "He and I were always special friends until he died when I was seven, which was pretty traumatic for me," Metcalfe says. Metcalfe grew up in Trail and worked for West Kootenay Power before moving to the Lower Mainland. Capt. MacKinnon skippered the Nasookin until it was taken out of service in 1947. Part of its superstructure is now incorporated into a North Shore home. In the 6th photos of the Chart Room you can see on the right a framed giclee of Blaser's NOCTURNE hanging on the wall. Michael hasn't been able to locate these pix with his internet provider so I cobbled together the best of the 15 or so pictures together for him, the others were superfluous to me. I looked at a video of the boat moving on YouTube and it looked like the paddlewheel is not really pushing the boat along, but just turning with the current so there must be a couple of big propellers under the stern of the boat doing all the actual work.